When Apple announced iOS 8 at WWDC one feature was met with great applause: SMS Relay. This allows users to send and receive Text Messages (i.e. the "green bubble" messages) on our Macs the same way we've always been able to send and receive iMessages. 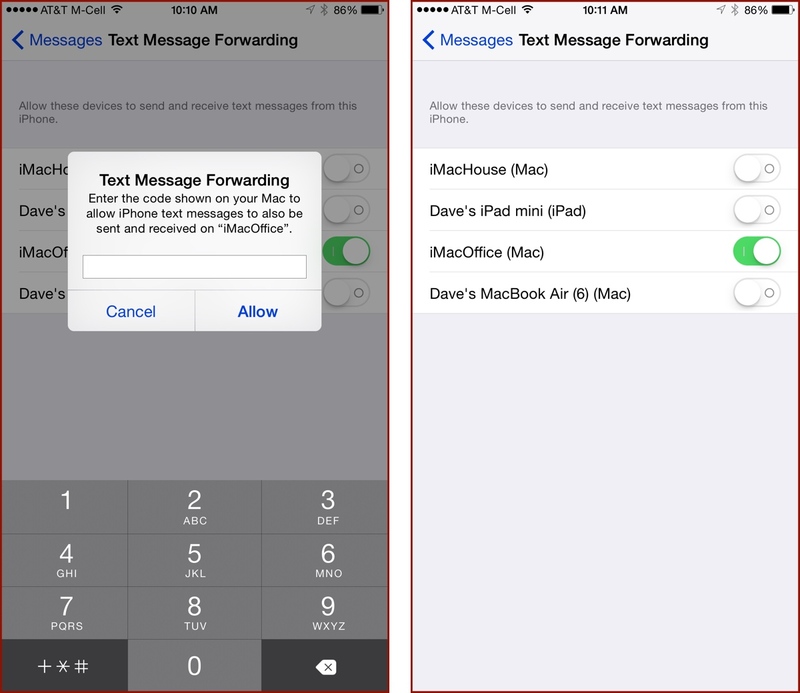 SMS Relay is made possible by using your iPhone as the conduit between your Mac and the SMS network. Pretty nifty and, for some, quite handy. First, make sure you're signed into iMessage on your non-iPhone device. That could be your Yosemite-running Mac (on which you'd find this setting in the Messages.app > Preferences > Accounts); or on your iPad in Settings > Messages > iMessage. Jump over to your iPhone and confirm you're signed into iMessage and iCloud with the same account here, too. 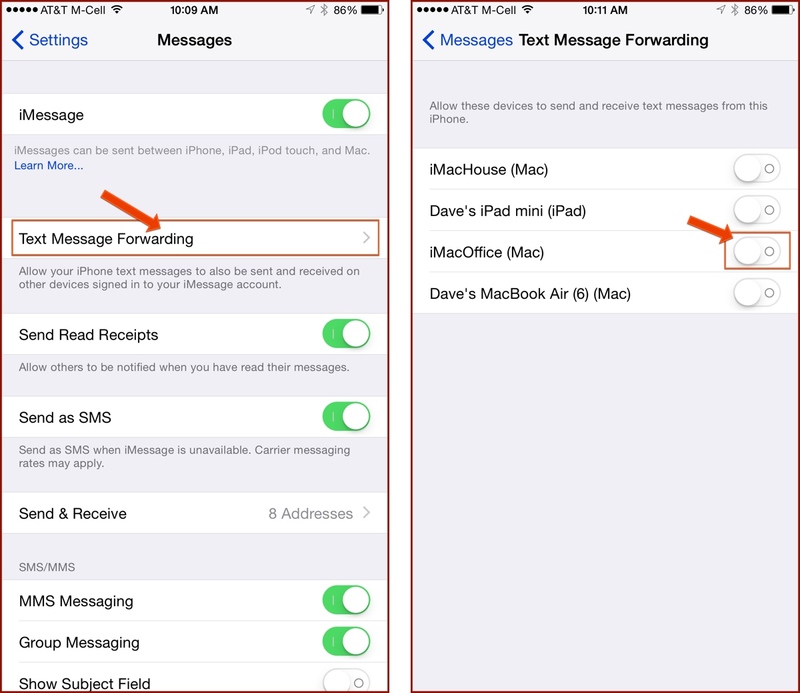 Still on your iPhone, go to Settings > Messages > Text Message Forwarding. Flip the switch to enable it on one device at a time. Then look at that device – you'll see a confirmation number that you'll have to enter on your iPhone. This ensures you've got physical access to both devices at the time you're setting it up. Confirm the link by typing the code and you're finished! Once you've done this, you're good to go. Happy texting (and maybe try to encourage your Android-using friends to stop using SMS and just get an iPhone already. You know they want to! ).